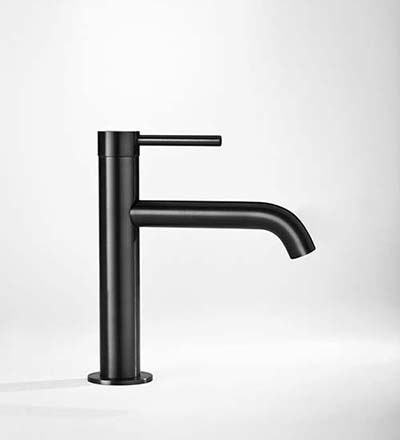 A new, refined, industrial finish that is clean, modern and strikingly edgy. 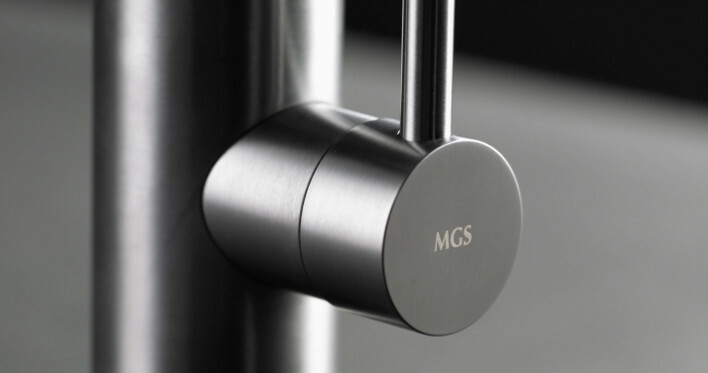 Taking cues from jewelry, watch makers, aerospace, military and high tech industries, our Black Steel finish is obtained through Physical Vapor Deposition (PVD), a process in which the color penetrates the metal by molecular bonding, resulting in a smooth, long lasting finish. PVD has superior characteristics of durability and hardness, even outdoor in harsh atmospheric conditions. PVD also has an eco-friendly advantage because the process does not produce the chemical wastes that are the result of coating processes. As it is not a coating, a characteristic of PVD is that objects of different shapes and dimensions can absorb color differently, resulting in slight color variations. 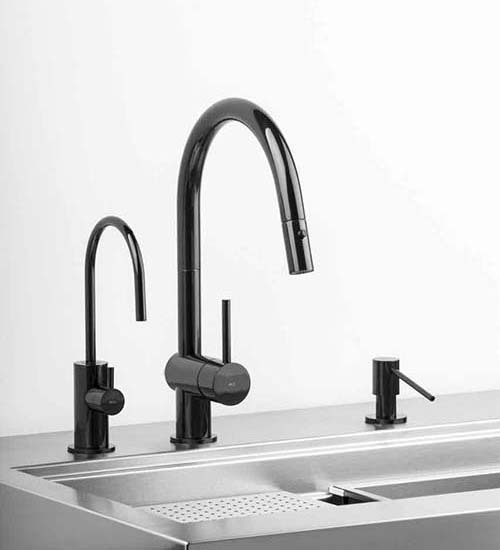 The matte finish is obtained by implementing the PVD process over matte stainless steel. Our Onyx finish is also obtained by PVD process, but over polished stainless steel. 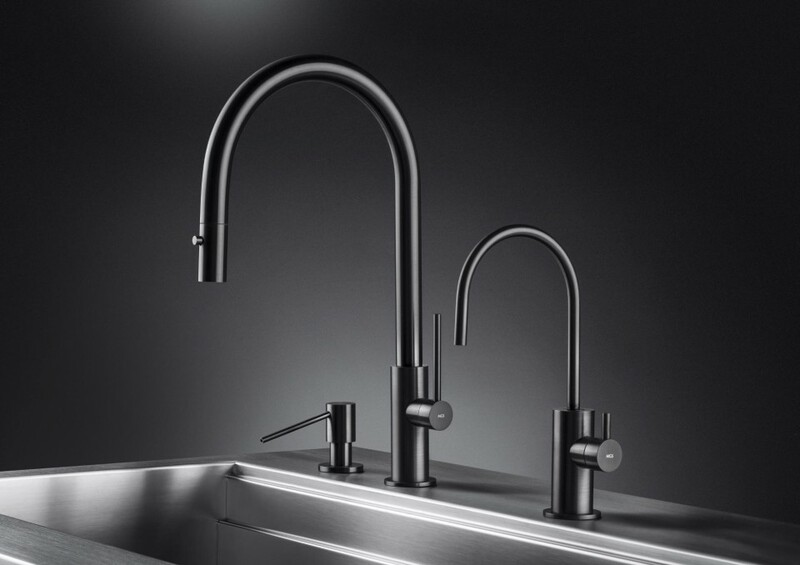 Black Steel is available on selected models of our kitchen and bath ranges, whereas Onyx is available on selected models of our kitchen range only.